Raiser of one of those storms which from time to time so healthfully clarify the theological atmosphere of Scotland, author of many of the most popular books of Scottish life and character, and of late years champion of the neglected rights and dignities of the northern kingdom, the Rev. David Macrae was long a strenuous and notable figure in the view of the public. Descendant of successive "wild Macraes" who fought at Sheriffmuir and followed , he was born 9th August, 1837, in his father's manse of Lathones, spent his boyhood in Oban and Glasgow, to which his father was successively transferred, and began his university course in the old College in Glasgow High Street. In 1858 he went to Edinburgh University for the sake of Professor Aytoun's Belles Lettres class, the chair of English Literature not being yet founded in Glasgow; and towards the close of that summer a fall on arthur's Seat lamed him for life, put an end to mountain climbing and pedestrian tours, and turned him more and more to the life by pulpit and pen. Natural Philosophy and Hebrew he studied in Glasgow, but in 1860 he began his Divinity course in Edinburgh University. At the same time he began writing for the press. In 1861 he published "The Social Hydra," an exposure of the evils of pawnbroking; in 1863 "George Harrington," a novel, and in 1865 "Dunvarlich," a £100 prize tale. He also, during those years, wrote leaders for the Glasgow Herald. In 1867 he for the first time fluttered the ecclesiastical dovecots with "Diogenes among the D.D. 's," a book of ecclesiastical burlesques, the first of which, "The Trial of Norman Macleod for the murder of Moses Law," had appeared in the Scotsman, and others, including "The Courtship of Widow Freekirk and Mr. Hugh Peabody," in the Glasgow Herald. In the same year he made a tour through Canada and the United States, enquiring for himself throughout the southern states into the condition of the whites and emancipated slaves after the war, and making the acquaintance of Beecher, Emerson, Longfellow, Lowell, Wendell Holmes, Harriet Beecher Stowe, Wendell Phillips, General Grant, General Lee, Captain Semmes of the Alabama, and other celebrities. He published the results of his observations in "The Americans at Home," a book which went through numerous editions, and was translated into French and Italian. In 1871 Mr. Macrae finished his theological course, and in the following spring accepted a call to the United Presbyterian Church in Gourock. Almost at once began his period of theological strife. Reform was hereditary in his blood. A century earlier his grandfather, objecting to the Confession of Faith, had left the Established Church and become an Independent minister at Sauchieburn. 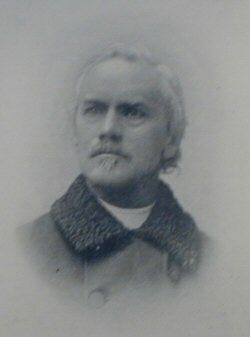 In December, 1872, in the Paisley and Greenock Presbytery he began the movement which led to reform of the United Presbyterian Theological Hall. Four years later, he tabled a motion in the same presbytery in favour of a revision of the Confession of Faith, and supported it in a speech which caused widespread excitement, and aroused fierce opposition. The time, nevertheless, proved ripe for reform, the Synod felt compelled to action, and in 1879 passed the famous Declaratory Act, afterwards adopted by the Presbyterian Church of England and the Free Church of Scotland. When the Act was before his Synod, however, Mr. Macrae further demanded liberty to dissent from the dogma of everlasting torment. This the Synod refused, and, at a special meeting on the case in July, 1879, expelled Mr. Macrae from the denomination. He was, at the time, under call to succeed George Gilfillan in Dundee. The congregation there repeated their call, and withdrew from the United Presbyterian Church. Under Mr. Macrae's ministry the membership rose in four years to 1,300 souls, and a church costing £10,000 was built and paid for. For eighteen years he remained in Dundee, but the strain told so much on his health that in 1897 he took steps to have a competent successor appointed, and then retired. Before leaving Dundee he received addresses and gifts from his congregation and various public bodies. Among these was an address from the citizens, presented by the Lord Provost at a meeting in the Town Hall. Three years later the congregation set up a marble bust of him by John Hutcheson, R.A., in Gilfillan Memorial Church. After his retirement Mr. Macrae made his home in Glasgow, and devoted himself to the furtherance of more than one cause. His public defence of the national rights of Scotland began in 1884. Then, as Convener of the Committee on School Books on Dundee School Board, he was struck with the extent to which the terms "England" and "English" were being substituted in school histories for the proper terms "Britain" and "British." He had already published a pamphlet, "Britain not England," but he now carried a resolution of the School Board condemning the practice. Large public meetings were also called, which endorsed his protest. After leaving Dundee he continued the agitation, and had passages of arms on the subject with Mr. Frederick Harrison, Mr. Alfred Austin, Poet Laureate, and other public men, in the Scottish and English papers. He also took a prominent part in promoting the memorial presented in 1897 to Queen Victoria on the similar misuse of the national names in official utterances and foreign treaties. 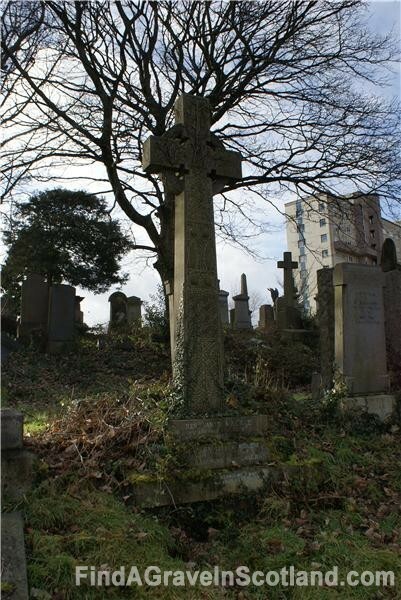 Mr. Macrae was the chief means of rearing the memorial Celtic cross, on the scene of the betrayal of Sir at Robroyston, which was unveiled in August, 1900, by Miss Emmelina M'Kerlie, last direct descendant of the patriot's fidus Achates who was slain on the spot before Wallace himself was captured. Afterwards Mr. Macrae took an active part in the protests and demonstrations against the adoption by King Edward of the title, "Edward VII." He became founder and President of the Scottish Patriotic Association which took action on the subject; and he moved the formal protest at the great meeting at Bannockburn in June, 1901, which declared the title "an insult to Scotland and an outrage on historic truth." The protesters' signatures, in five bulky volumes, are deposited in Glasgow art Galleries. In 1892, during his ministry in Dundee, he had paid a visit to Egypt and the Holy Land, and a year after his retirement, he set out on a second American tour, partly to study the operation of the various liquor laws, but mainly to ascertain in the southern states the results, on white and coloured populations, of thirty years of free labour. He visited several of the "Black Universities," and was Booker Washington's guest when inspecting the great industrial and educational work carried on at Tuskegee in Alabama. He also attended the Mormon conferences at Salt Lake City in Utah, and enquired into the working of Mormonism under its new conditions; and along with Sanborn, a former missionary, he visited the Seneca Indians, whose chief gave him the name of Ga-anga-Yong ("the Old Stronghold") and adopted him into the tribe. His observations in the South during this tour were published in the Glasgow Herald and other papers, and are now included in the volume, "America Revisited and Men I Have Met." In November, 1900, Mr. Macrae went to Monte Carlo, conducting, for the first half of the season, a Scottish service in the International Church, and holding the first Scottish communion in the Principality. Besides his publications already named, he was author of "Napoleon III.," a brief biography written after the downfall at Sedan; "A Book of Blunders," "Lectures on Burns," "The Pioneer Question Book" (for Sunday Schools), a Temperance Catechism, "Voices of the Poets," "Little Tiz and Other Stories," "Quaint Sayings of Children," "Historical Notes about Gourock," "Public Readings from his own Works," "Sunday Lectures," and "Reminiscences of George Gilfilian." In 1903 and 1904 his amusing "Pennyworth Series" of Puns, Epitaphs, Repartee, and the like was collected into two volumes, "A Feast of Fun," and "National Humour." Theologically Mr. Macrae shewed himself as strongly opposed to materialism on the one hand as to some of the dogmas of orthodoxy on the other. In 1898 in a public debate with Dr. Jameson, a well-known champion of orthodoxy, he defended the Bible from identification with the doctrine of everlasting torment; while in 1894 in a previous two-night debate in Dundee with Charles Watt, the great secularist lecturer, he had defended the Bible from secularist misrepresentations. For over half a century he took a deep interest in Temperance Reform, advocating it in the press, in the pulpit, and on the platform. For a generation also he was one of the most effective and popular lecturers in the country. But his chief work was the broadening of religious thought and doctrine, and the vital part he played in starting the great revival of national and patriotic feeling in Scotland. After a surgical operation and a serious illness of ten months' duration this strenuous worker died at Pollokshields, 16th May, 1907. Some eight months before his death a movement had been started in Glasgow to present him with his bust. The work was executed by Mr. A. Macfarlane Shannon, A.R.S.A., and at a meeting convened and presided over by the Lord Provost, Sir William Bilsland, Bart., Sir John Ure Primrose, Bart., on behalf of the committee handed over the bust to Glasgow Corporation on 9th December, 1907, for preservation in Kelvingrove Art Galleries. Since Mr. Macrae's death a uniform edition of his works, with a memoir, has been published in seven volumes. Please Note, the marker on this map indicates the Cemetery location, not the location of a particular grave.